Toward the end of 2015, we started seeing a new component being deployed by the group: a downloader for the main Sednit backdoor, Xagent. Kaspersky mentioned this component for the first time in 2017 in their APT trend report and recently wrote an article where they quickly described it under the name Zebrocy. This new component is a family of malware, comprising downloaders and backdoors written in Delphi and AutoIt. 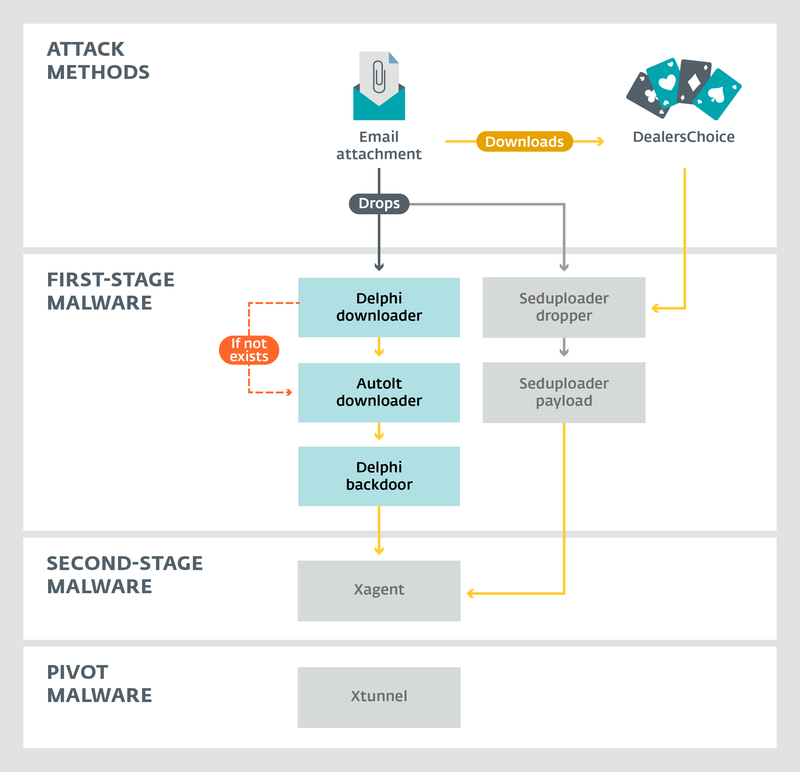 These components play the same role in the Sednit ecosystem as Seduploader — that of first-stage malware. Figure 1 shows the attack methods and active malware used by Sednit. Email attachments are the main entry point to the Sednit ecosystem. DealersChoice is still being used, as research from Palo Alto Networks mentioned in this recent blogpost. Both Seduploader and Zebrocy are actively being delivered by the Sednit group through email attachments. Finally, after a reconnaissance phase, Xagent and Xtunnel are deployed on the targets deemed interesting by the operators. Both malicious documents contain a VBA macro that creates a randomly-named file in %TEMP%. 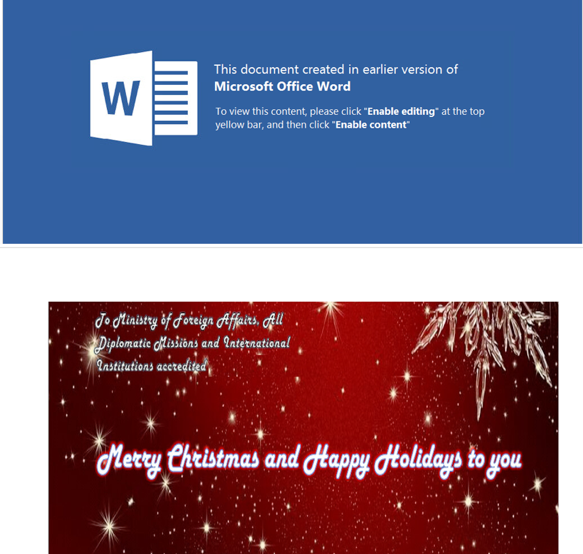 The malware executable is then decoded and written into this file, which is then executed via a PowerShell command or via Scriptable Shell Objects. When the malware is launched, a splash window pops up with a bogus error message and the filename of the dropped binary. For example, if the filename is srsiymyw.exe, the filename that appears in the splash window will be srsiymyw.doc (see Figure 4). The pop-up’s purpose is to distract the user so that he won’t think anything unusual is happening on his computer. In fact, the downloader is busy creating a file under %TEMP% with a filename hardcoded in the binary (although at this stage, the file is empty). Persistence is implemented by adding a Windows registry entry under HKCUSoftwareMicrosoftWindowsCurrentVersionRun with the path of the hardcoded filename. Notice that we don’t have the full visibility and we may have missed some versions of the backdoor. Besides, there is some overlap between versions meaning that some older versions are still used at the same time as newer versions. The backdoor embeds a block of configuration. The configuration values change from one sample to another, but the list of configurable items stays the same. However, the way in which the configuration data are stored in the malware sample has evolved over time.